What You Ought To Know About Mortgage Underwriting- Find Out Here! When buying a home, the home buyer is going to pay hundreds of thousands of dollars over the life of the loan, while the lender is responsible with collecting that money. In order to protect himself, the lender has to closely examine the borrower’s ability to repay the loan. This is done through a process called mortgage underwriting. This is the process that will determine if the home buyer will receive the mortgage loan, and how easy it will be for the applicant to be granted the mortgage loan. 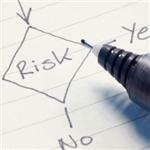 Applicants who are regarded as low-risk will face little to no problems, while those regarded as higher-risk will have to provide additional information about certain areas of their financial situations. High-risk borrowers also have a high chance of being denied for a mortgage loan. Mortgage underwriters are charged with finding any issues that the applicant may have now or in the future and carefully determine how much of a risk they are. Mortgage underwriting will take a close look at the home buyer’s debt-to-income ratio, income and credit score. These are the most important aspects of your financial situation, and the factors that will decide if you will be granted the mortgage loan or not. Mortgage underwriters also look at the applicant’s age, savings accounts, investments and other things. The debt-to-income ratio represents how much debt someone has versus their income. Having too much debt when compared to your income level raises a red flag for mortgage underwriters and can jeopardize your chances of receiving a mortgage loan and becoming a home owner. Lenders who give out mortgage loans that are not backed by government agencies such as the Federal Housing Administration or the U.S. Department of Veterans Affairs usually require borrowers to spend 30 percent or less of their monthly income on the mortgage loan. Also, the total percentage of your monthly income that is spent on all your debt should be less than 40 percent. Mortgage loans are sometimes granted to applicants with higher ratios, but it is recommended that the amount spent on debt each month to be as small as possible, in order to increase your chances of being approved for a mortgage. In order to verify your income, you will most likely need recent pay stubs, W-2 forms, and other documents. Failure to present these documents will usually result in your mortgage application being denied. Also, remember that lying about your income is considered criminal fraud and will attract problems that are much more serious than being denied for a mortgage loan. Providing proof of income may be harder for those who are self-employed, and mortgage underwriters will probably not grant the loan until this proof is provided. Your credit score keeps track of your record on repaying borrowed money, so your lenders can figure out if you are a high or low default risk. A low credit score means that you have missed payments or even stopped paying your debt in the past, and will probably attract a mortgage application disapproval. High credit scores mean that you are a trustworthy borrower, and a low default risk, so you shouldn’t encounter any issues during the underwriting process. Mortgage underwriting is necessary because the lender needs to protect himself from losing money when borrowers who can’t afford a mortgage apply for one. Understanding this process will make it easier for you to know what’s requested of you when applying for a mortgage, and what you can do to improve your financial situation in order to increase your chances of being approved for a mortgage loan.